Please note, there are two ways to publish your completed post. 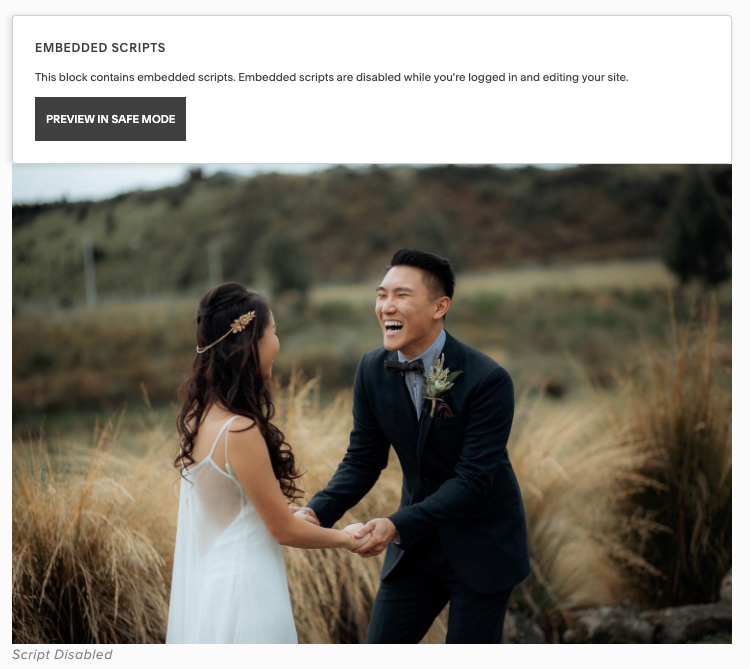 This article shows you how to publish via Narrative's publishing service, there is also the option to export your post as JPGs. 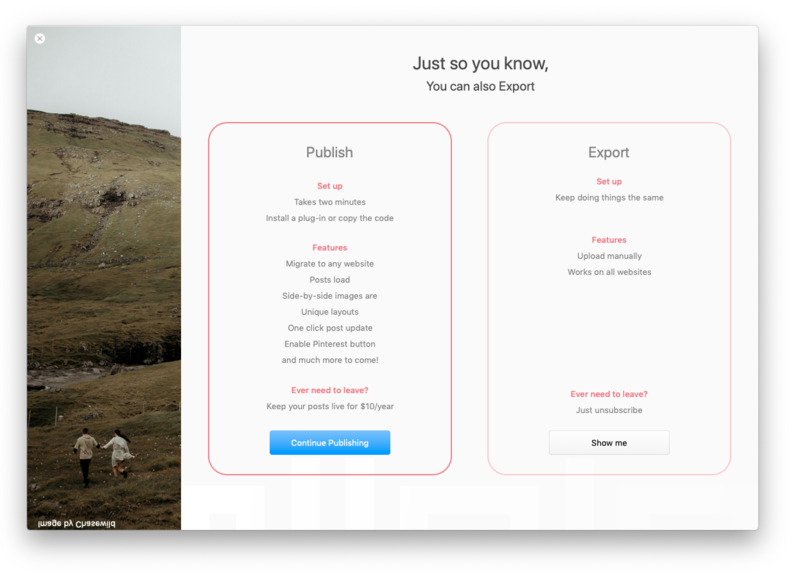 If this is your first time publishing a window will appear showing you information about Narrative's Publish and Export Features. Press "Continue Publishing" to continue to the Publish Settings. 2. Input your website's URL e.g www.mywebsite.co and select Squarespace. 4. Now that your publisher settings is set press "Publish" again. 2. Create a new blog post or a new page. 3. Add a code block by first selecting an insert point. 4. Select 'Code' under the 'more' section. 5. Delete any text already in the box. 9. Press save to save the changes you made to the code block. 10. To preview your whole blog visit your blog page. 11. You may wish to make any other changes above or below the code block, do this now. 12. When you are ready, select Publish. If you need a hand with any of this feel free to contact our support team.